It's 1939, and for Georg, son of an English academic living in Germany, life is full of cream cakes and loving parents. It is also a time when his teacher measures the pupils' heads to see which of them have the most 'Aryan'- shaped heads. But when a university graduation ceremony turns into a pro-Nazi demonstration, Georg is smuggled out of Germany to war-torn London and then across enemy seas to Australia where he must forget his past and who he is in order to survive. Hatred is contagious, but Georg finds that kindness can be, too. 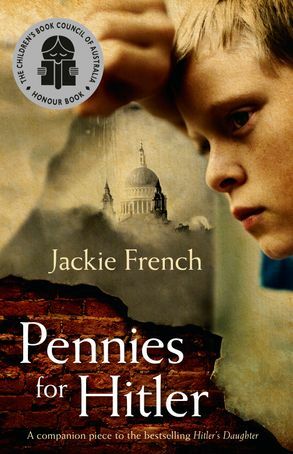 A companion piece to the best-selling Hitler's Daughter, this is a story of war-torn Europe during WWII, as seen through the eyes of a young German boy Georg, who loses his family and must forget his past and who he is in order to survive.